Jewel Robbery (Th 12/1 7:00 p.m.) Such fun! 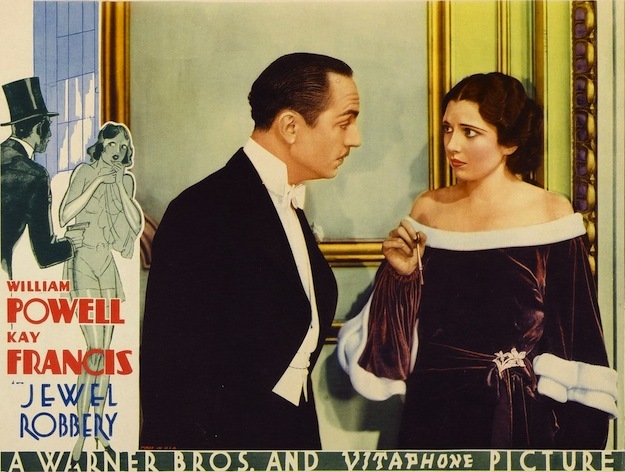 William Powell is a dashing jewel thief in this pre-code comedy. The Three Musketeers (Tu 12/13 10:45 a.m.) This is the 1948 version with Gene Kelly, Lana Turner and Vincent Price. It's ridiculous but I actually really enjoyed it. 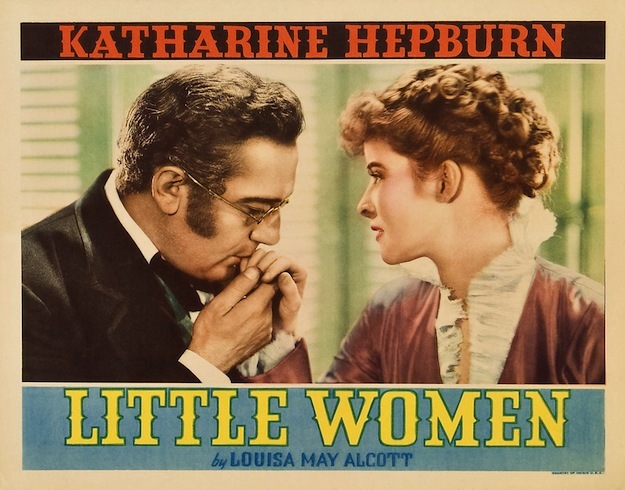 Little Women (Su 12/18 5:00 a.m.) Katharine Hepburn is the best-ever Jo March. End of discussion. Suspicion (M 12/19 5:00 p.m.) Wallflower Joan Fontaine marries bounder Cary Grant against her parents' wishes; is he a murderer, too? Born Yesterday (W 12/21 11:00 p.m.) William Holden is a newspaperman hired to tutor Judy Holliday, who turns out to be not a stupid as everyone thinks! A Face in the Crowd (Th 12/22 1:00 a.m.) You MUST see this film. It is one of the most amazing movies I've ever seen. Andy Griffith plays against type to perfection and Patricia Neal and Walter Matthau are magnificent; Elia Kazan was a genius. Strangers on a Train (Th 12/22 10:15 a.m.) Super-creepy Robert Walker traps Farley Granger in a murder plot. Not to be missed. Auntie Mame (Sa 12/24 11:00 p.m.) Rosalind Russell goes around being absolutely fabulous; who wouldn't want an Auntie Mame?! Casablanca (Tu 12/27 11:15 a.m.) You've probably already seen it, but if you haven't, what are you waiting for? I Love You Again (F 12/30 12:00 a.m.) William Powell's character gets amnesia and he can only remember his former con-artist self, not his current upstanding, teetotaling persona; what will wife Myrna Loy think? 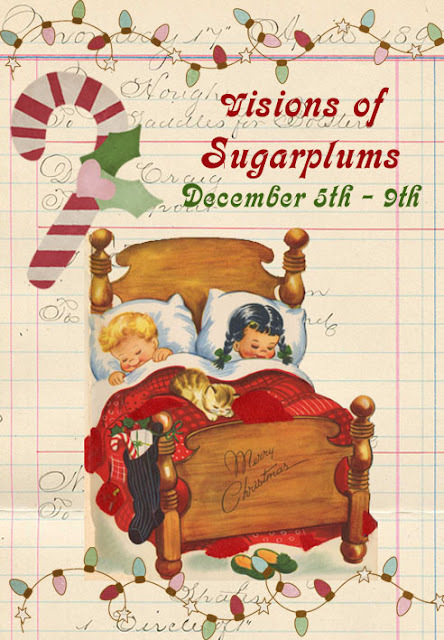 I'll be participating Monday, December 5th and Friday, December 9th in Visions of Sugarplums--a Christmassy blog event dreamed up by my super-creative mom. 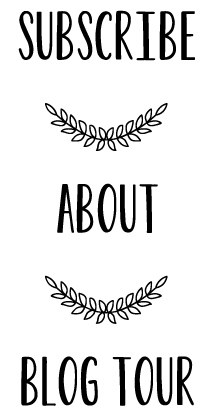 There are also several giveaways, so be sure to check it out. I can vouch for North by Northwest and Victor/Victoria. Believe it or not, I'm one in a very small minority who's not been particularly drawn to Casablanca. My friend says I should watch it on a rainy night when I remember a lost love. Sigh. I'm a huge William Powell fan (I just LOVE the Thin Man series!) and I'd love to see the Jewel Robbery :). But I don't have TCM at home so I'll have to find it elsewhere! 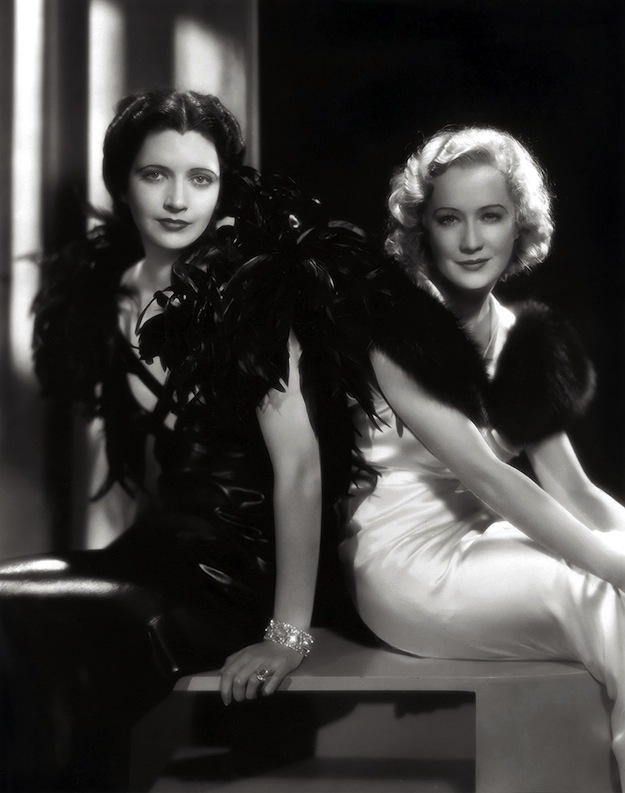 OOh, Kay Francis! Love!! Great post as always! What a fabulous selection! There are so many here I'd like to see/see again. Good thing we have long winter evenings ahead! From Topper to Top Hat - So many of my favorites on this list. Wow. Your mom is talented, for sure. How fun that you and your mom both have blogs. Nice. I just stayed up extremely late a few nights/mornings ago just to watch the original Thin Man (again) on TV. Some great movies on this month's list. Looking forward to your posts for Visions of Sugarplums. What an awesome and comprehensive list! Victor/Victoria is one of my favourites. Definitely adding the rest to my netflix queue!